Spencer Butler already started off filming the blaze, even before realizing he could help. Butler and a friend can be seen rushing from door-to-door searching for people and pets. Together they rescued three dogs while alerting as many residents as possible before firefighters arrived. No lives were lost. 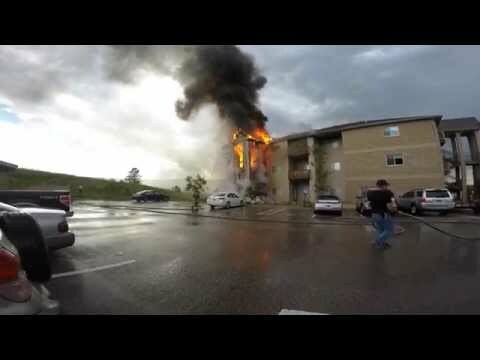 Watch the video below to see the how these local unsung heroes rescued people and pets from the apartment fire in Rapid City, South Dakota.